It took about 10 years to build our CAD company into a successful on-line computer drafting business that undertakes remote CAD drafter jobs. So why on earth would I want to share our secrets of how to make money from home, doing CAD drafting jobs, and risk a slew of new competitors? I built this company into an international computerized drafting firm by meeting the needs of architects, engineers and contractors, who were looking to outsource some of their overload CAD drafter jobs. Some AEC firms wanted us in-house to perform their work, but not all did. And it is those flexible companies that became our main clients. As we found out, there are more flexible firms out there than we first thought. Some had their own staff, and were simply looking to hand off work that was too tedious to be done in-house, while others were small start-up firms with no CAD staff of their own. As I grew the client base, I realized there is a lot of CAD work available to be outsourced by the technical community. To think that our company would be able to corner the market, so to speak, would be naïve. The bottom line is, for those looking to work from home, there is more than enough CAD drafter jobs to go around. Sharing our tricks of the trade would not put the slightest dent in the amount of work we receive and we have no problem sharing any tips and techniques we have used to grow our company to where it is today. The 9 to 5 rat race (7 to 9 at times) came to a complete halt back in 2000. From 1988 to 1991 I worked at CAD drafter jobs part time and summers at various engineering firms, while working on my civil engineering technology diploma. From 1991 to 2000 I bounced from engineer-to-architect-to-general-contractor, working on a variety of CAD drafter jobs, mostly on a contract basis. One might think I didn't want to hold down a full-time job. If you are one to think that, you’d be right! I came to realize I'm an entrepreneur; 9 to 5 is not in my vocabulary, nor do I want it to be. Lazy? Not even close. A non-conformist? Definitely! During those years of local CAD contracting I may have felt somewhat ungrounded going from firm to firm, but one thing I knew for sure is that I gained a lot of valuable wide ranged experience. The benefit I gained by working on a contract basis at all these companies? I had the opportunity to witness the differences and similarities that each firm (and discipline) had. It gave me a well rounded feel of how everything came together; from conceptual drawing to final built product. I was able to see how engineers viewed architects drawings, and vice versa. I once worked on a large architectural project that spanned a year, creating drawings and specifications, only to get laid off after running the last plot of the project through the plotter. Then I went to work for the general contractor who was building the same project from the architectural drawings I just finished producing. It was quite the learning experience to be involved with a project from the initial drawing stage to the final building stage. Those years at various firms were the learning years that would lay the foundation of this company, Cadtech Design. It is my goal to share with you some the pros and cons of running your own home based CAD service. I’ll discuss the mistakes I made, short cuts I found, and lay out the basics of what I think is needed to start and run a successful computerized drafting service and find those highly sought after CAD drafter jobs that you can do from your home office. Hopefully, you too will be able to break free of the 9-5 race and realize your own dreams while doing what you enjoy. Back in 1998 I was searching the web in hopes of finding one of my first on-line CAD drafter jobs. The web was still fairly new as far as outsourcing work goes, and I really had no idea if I could make money online; but I knew there was only one way to find out. Research. I came across a few CAD newsgroups that sometimes advertised contract and full-time CAD drafting jobs. Most ads were looking for drafters to come in and work in their office; or at least live close by so the company could have easy access to you. 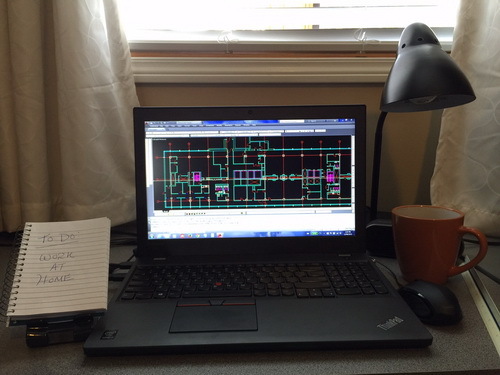 I had spent the previous 5 or 6 years going from AEC office to AEC office locally, and while I gained a lot of experience as a CAD drafter doing this, I was ready to work full-time from my own home office, setting my own schedule. I stumbled across an ad from an architectural firm that was located a thousand miles away in a large metro center in the U.S. They were seeking a handful of CAD operators to work remotely on a variety of CAD drafter jobs. The company did not give its name or phone number in the ad, but asked for replies by e-mail only. The instructions were to reply to the ad with the subject line “CAD Workers Wanted”. Even though the date the ad was posted was nearly 2 weeks old after I came across it, I was very excited to apply. I searched my computer for my latest resume, spent a couple of hours tweaking it, wrote up a great cover letter and inserted a URL web link to my simple website in the reply e-mail. A few months back, I had set-up a basic 4-5 page website that showed some of my work and a list of projects I had worked on. With fingers crossed, I fired off the e-mail to the company. Not long afterwards, I received what looked like an automated reply that basically said all positions had been filled. At first I thought, “Well, I'm just too late.” But as the missed opportunity sat with me, I became determined to at least have my CAD experience seen by said company. I had a feeling that they may be weeding out replies to their e-mail address by intercepting all e-mail received with the subject line “Re: CAD Workers Wanted”. I've since had the opportunity to work from my home office for the past 16 years with this company, simply because I did not give up. They are a top client to this day and continue to send work on a consistent basis. If you truly want to work from home in the computer-aided drafting business, you can make it your reality by being persistent in your pursuit for clients and new CAD drafter jobs. You might be lucky and come across ads like these every so often, but the only way you are going to come find them is by researching. Don’t wait for a client to come to you. 80% of companies seeking workers are not advertised. Don’t let the CAD drafter jobs that are advertised pass you by. On the rare occasion that we are looking for new help, I only respond to the applications that have more than one reply. Why? Because I know that the ones that pester me are the go getters. Now this is not an invitation for unsolicited resumes for CAD drafter jobs. We have not had to hire any new staff in 6 years, and when we do we clearly indicate it on our website or post an ad to a CAD newsgroup. But we are not in the 80% that do not advertise. There are a lot of firms that are constantly looking for help, but have not gotten around to advertising yet. When searching for new clients, I highly recommend frequenting the CAD discussion forums that are scattered across the net. If you are an AutoCAD drafter or designer, be sure to check out the AutoCAD Classified forums for potential CAD drafter jobs. Use the search feature to narrow down ads suited towards “freelance”. Elance.com is another option, where you can bid on various computerized drafting and design projects. I'll talk more about seeking out new CAD drafter jobs below. 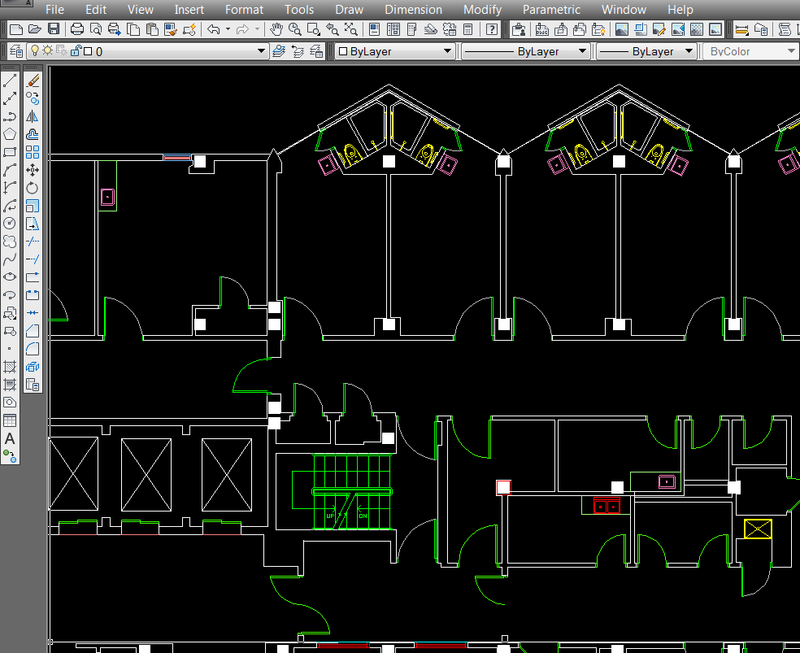 Probably the most important task of becoming a self-employed freelance CAD consultant is finding clients. No clients = No work = Back to a full-time job working for someone else. The good news in this business is, a first time client can turn into a long term client fairly easily. If they like working with you, there is a very good chance they will call on you again, and again with more CAD drafter jobs. One new client just may end up providing you with tens of thousands of dollars worth of work on future projects. If you can find 4 or 5 of these, you can poise yourself to work full-time from your home office. Finding new clients is not rocket science, but it does take work when you first start-out. Until you are well known as a trusted CAD service provider, you need to find clients the old fashioned way… by banging on some doors. For local clients, you can literally show up at their door and hope to get a brief meeting with the manager. Or you can do what I used to do when I first started out; fax. One of the ways I use to drum up CAD drafter jobs with new clients was to crack open the phone book, harvest phone and fax numbers, and enter them into an address book on my computer. Back then I had a dial-up internet connection and a fax modem in the computer. I would spend a day or so entering the info of the architectural, engineering, manufacturing and contracting companies that I thought could become potential clients. I would then customize a fax cover sheet in my fax program that gave a brief description of my services as a CAD contractor, and pasted my most recent resume behind the cover sheet. After a couple of days of set-up, I set my fax program to fax every firm in my list at night. The next day I would receive at least a couple of calls, and many times land a project. This may seem like a pain, but it works and it's a great way to drum up new business and get your name out there. I then took it a step further and set-up different fax databases for specific types of firms and customized cover sheets for each. I also called each company and asked for the manager’s name, which is essential to make sure your proposal is seen by the right eyes. Often times I reached a secretary that asked me what my call pertained to. I simply said that I would like to fax the manager of the firm a proposal for outsourcing. The majority of the time I was given the name of the manager and their fax number, if it wasn't listed in the phone directory. Once my new lists were made, and with the manager’s names on them, I faxed them out again. I received even more replies this time. I spent 3 years using this technique to land new CAD drafting jobs and it never failed to bring results. Now some may think of this as spamming; in a sense it is, but not once did I receive a complaint from any of the firms I faxed. In fact, upon follow-up, many seemed happy to know that there was a drafting firm in town that they could turn to if they needed some extra help. Nowadays it is much easier to email this info, but I have found that faxing works much better. Faxes are dropped on the desk of the manager and receive a lot more attention than e-mails do. Spam in email is a lot less tolerated, so chances are your email will be deleted at best. Take this technique for what’s its worth and do with it what you may, but it worked for me for years. Past employers, teachers, co-workers, friends and family, have all referred me to new work on occasion. It never hurts to let all these contacts know that you are operating a drafting service, seeking CAD drafter jobs, and that you are always looking for new clients. If you have good relationships with past employers that you did CAD work for, plant the bug in their ears. AEC firm managers often get together over lunch and discuss their projects and workloads. If one of them is looking for some CAD help, your name may just be dropped and a call out of the blue may come your way. Manager #1: We are swamped with work these days. I'm getting backed up with the need to create as-built drawings and need to find someone soon. Any leads? Manager #2: I used to have a good CAD guy working for us that is out on his own now, doing freelance projects. I’ll get you his info when I get back to the office. Also, be sure to carry business cards with you wherever you go as you just never know who you will run into. The internet contains a gold mine of opportunities to find clients. You have access to just about every type of firm on the planet that may be offering remote CAD drafter jobs that may have a need for your CAD services. Be sure to also check out CAD newsgroups, job sites and freelance sites; the web is full of opportunities. Worldwide CAD consulting is where it is at nowadays and this is where I receive the majority of my clients. At present, “I” should be changed to “we” since Cadtech Design has grown beyond a one man operation that was started long ago. We don’t search out new clients that much any more, as most clients come to us through our website or from a referral. I will get into making your internet presence known as a CAD service provider in a future article. But there was a time, before the web site sent us clients, where we ventured out into cyberspace to seek out new customers and CAD drafting jobs. Assuming you don’t have a web site yet, I think this is a good place to start. Using the fax method I listed above, and frequenting CAD discussion groups such as http://forums.autodesk.com/ (more specifically the “classified” sub-forum), were the avenues we used to find many of the clients that we still have today. P.S. Be sure to sign-up for our newsletter below to follow along. You can share your comments below.